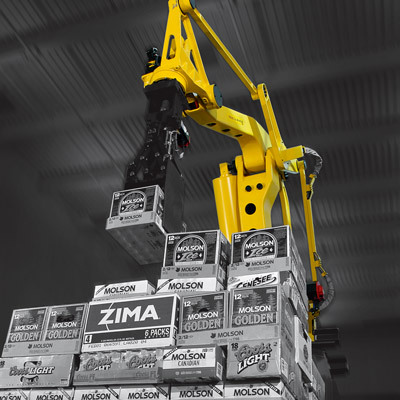 Designed specifically for the job by the company that built the world's first dedicated palletising robot, the M-410 series increases throughput on palletising and handling applications. 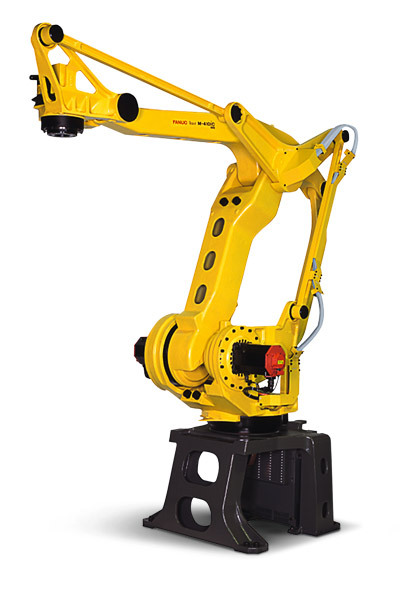 This 4-axis compact palletising model has been specifically engineered for precision and high-speed handling of payloads up to 315 kg. 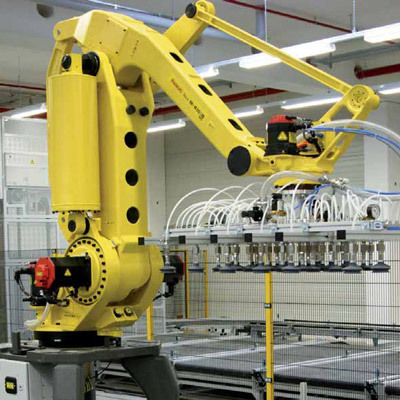 Internally routed cables and hoses make interference a thing of the past and lead to increased gripper reliability. 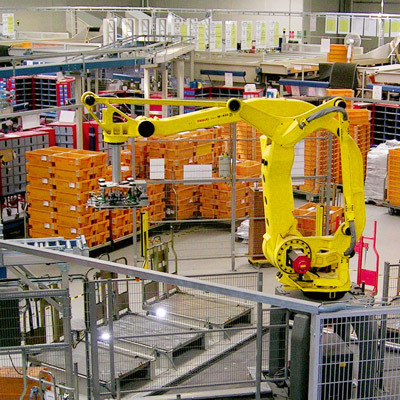 Operating within an optimised work space and benefiting from a high vertical stroke, the M-410 is specifically designed to stack pallets up to a height of two metres. 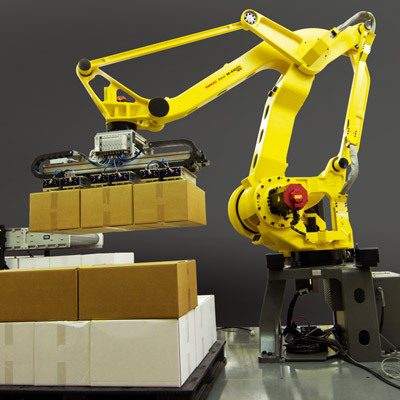 Multiple palletising positions for increased throughput on palletising and loading/unloading applications. Pedestal or compact base to minimise maximum hight and save installation space. 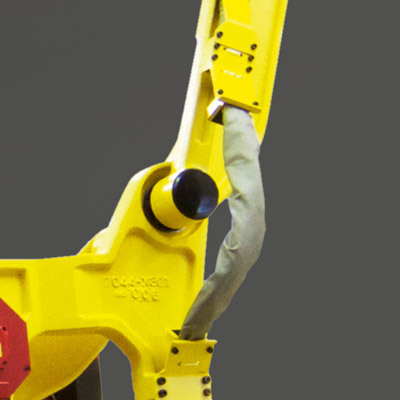 A servo hand can be 100% integrated to the robot thanks to the hollow wrist for efficient, cost saving cable routing. Also, the 6-axis servo amplifier controls the servo hand as the 5th axis. 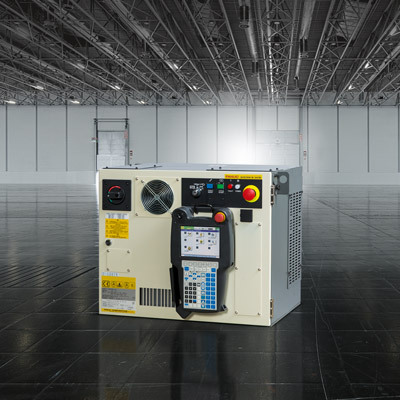 Check out the high speed type M-410iC/185.